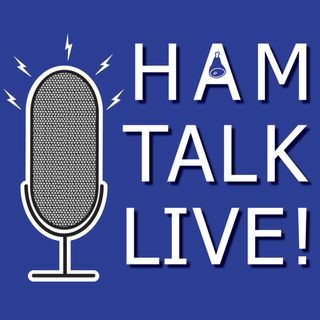 Episode 65 - Road Trippin' to Hamvention | Ham Talk Live! Tonight, we are LIVE from Dayton at the SpringHill Suites Hotel in Miamisburg at 417 N. Springboro Pike, just north of the Dayton Mall. If you are in the Dayton area, please stop by and be on the show! And if you can't be there in person, you can call in at 812-NET-HAM-1 or Skype us and join in the fun! We'll be talking about Hamventions past, present, and future. Call us with your favorite Hamvention story! We will have special guests, giveaways, and more. And, during Hamvention... ... Maggiori informazioni watch for our mascot, Hammy the Pig - VE1BCN. Get your picture with Hammy and tweet it with your callsign and the hashtag #hamtalklive, and you will be entered for a chance to win a DX80 dipole from RadioWavz! Also, watch for live video updates from Hamvention all weekend long on Facebook Live!